Although the vast majority of us would rather not think about it, our carpets are havens for all manner of unsavoury things. Mould, mildew and dust mites will all thrive in your carpet if you let them, and that’s without mentioning all of the other filth that a carpet is capable of collecting. Chemicals, faeces and any number of other unwanted stowaways can be brought into the home via the soles of our shoes, leaving your carpet far from clean. It is with this information in mind that we consider the correlation between the health of our children and the cleanliness of our carpets. Now, we’re not suggesting for one second that if you live in a child-free home you can neglect your carpet cleaning duties, far from it, but carpets do need extra attention when there are little ones around. The reasons for this are obvious when you consider how children operate. They spend the majority of their early years on the ground as they learn to first sit up, then crawl and eventually walk. Hands will likely be in regular contact with the carpet, and those hands are guaranteed to end up in their mouths sooner rather than later! Keeping your carpet clean will give you peace of mind that your baby is not ingesting anything that they shouldn’t be. Similarly, children are constantly learning from us about what is right or wrong. Leave them to their own devices and they would happily eat straight off of the floor without a care in the world. This is another opportunity for them to pick up any number of undesirable additions to that dropped piece of rusk. One area of carpet care that can negatively affect both adults and children is the harbouring of allergens. Dust mites can positively flourish in carpeted areas, as the microclimate that it creates is the perfect environment for theses miniscule mites. Dust mites require high humidity environments in order to prosper. Carpet can help to create this atmosphere, as it is the barrier between the colder flooring beneath and the warmer air of the room itself. Underfloor heating can help as the radiant heat lifts through the carpet, warming the entire room from the bottom up as opposed to the convection heating caused by radiators. This convection leaves the floor cold and slightly damp, perfect for dust mites. Regular vacuuming is vital in order to keep on top of the dust mite problem. By maintaining a regular vacuuming routine you can stop any dust mite allergens building up and lower the possibility of any ill effect caused by their presence. The main cause of the allergens is the droppings left by the mites, so vacuuming will go a long way to removing those triggers. Asthma is the number one problem associated with dust mite allergens, and 90% of asthma sufferers are sensitive to them. 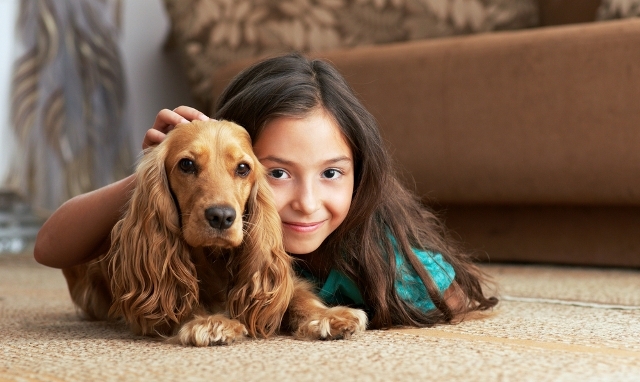 Doing your best to keep your carpet clean is beneficial to the whole family. What else can you do to keep things clean? • Don’t avoid hard-to-reach areas. Make sure that you regularly move furniture in order to vacuum properly. It can be very easy to just whip the vacuum around things like beds and sofas, but every now and then a more thorough clean is essential. • Treat stains immediately. Dropped food can lead to mould growing in the fibres of your carpet. Be sure to address any stains or spills immediately; it’ll save a lot of elbow grease later too. • Have your carpet cleaned professionally once every 12 to 18 months. This will help you keep on top of any underlying problems that your regular vacuuming cannot pick up. Call us today on 01908-511111 to arrange your appointment. By following these simple points you will be making it difficult for any unwanted microorganisms or mites to take hold in your carpet. Regular cleaning is essential and your child’s health is at risk if this duty is neglected. By maintaining your carpet’s cleanliness you will be going a long way to reducing the risk of illness and allergies as your child goes through their formative years.